After nearly seven years on an off the market, a triplex penthouse at Brooklyn’s iconic Clocktower condominium building was sold for $15 million, Mansion Global reported. The sale of the 6,813-square-foot, three-bedroom residence set a record for the borough’s condominium market, according to listing agent Frank Castelluccio of Corcoran. 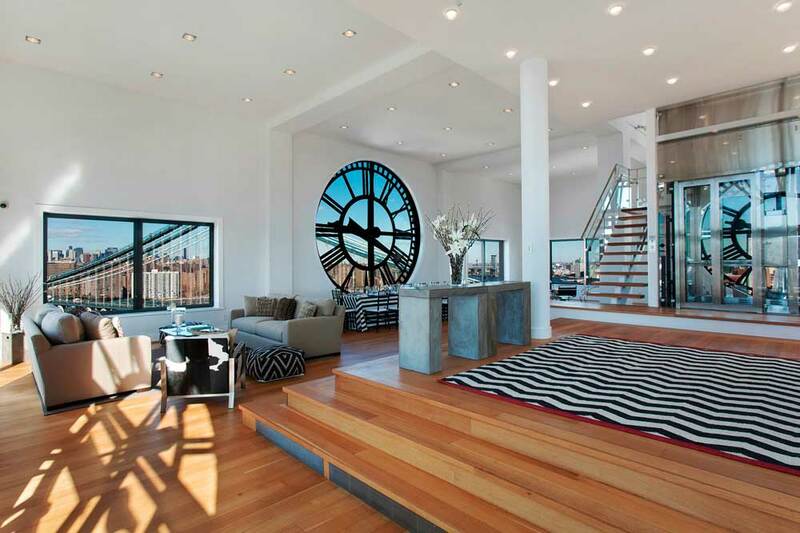 A luxury condominium conversion, Dumbo’s historic Clocktower is situated on the waterfront, between Plymouth Street and Water Street, and is only steps away from the 85-acre Brooklyn Bridge Park. Four 14-foot glass clocks encircle the residence, which can be entered via a private glass elevator or wraparound stairway. The kitchen, equipped with appliances by Gaggenau and Sub-Zero, is designed with white lacquer cabinets, Pietra Cardosa sandstone, and stainless steel countertops. The master suite, with an en suite bathroom, offers views of lower Manhattan. With 360-degree views throughout, the unit has two additional bedrooms with private bathrooms, a recreational space, a roof cabana, and an open deck. The penthouse at 1 Main St. was originally listed by Douglas Elliman Real Estate on behalf of the developer in 2010 for $25 million, then by Corcoran in 2013 for $18 million.